Movement legends that keep us dancing eyar after year come in droves. 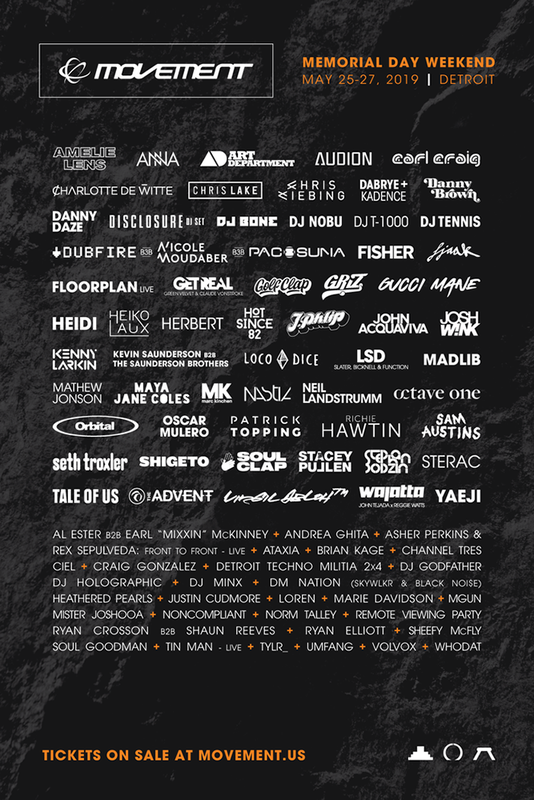 Charlotte De Witte, Anna, Audion, Dubfire, Nicole Moudaber, Maya Jane Coles, Richie Hawtin, Seth Troxler, Sterac and countless others will bring the nastiest cuts they’ve acquired over the last year and show us why they belong in the lineup once again. Movement tends to bring the best out of artists, so we never get tired of the same names, that’s the beauty of DJ sets by top tier DJ’s!